A Winter Wedding, What a Memorable Idea! Imagine a Winter Wedding at Lake Geneva, Wisconsin. Could you possibly find a more picturesque setting? The lake, the glistening snow, the wooded hills in the backdrop will leave you and your guests breathless. The accommodations run the gamut from Bed and Breakfasts to spa resorts to five star hotels. You can choose from outdoor or indoor ceremonies at many of the facilities, and parties can range from two to as many as several hundred. Catering options cover the entire spectrum from BBQ to caviar. So get out the planner, mark your calendar, look up all those old friends’ numbers and get busy. You have a wedding to plan!! There are so many reasons to plan a Winter Wedding, from timing to availability of facilities and cost. The weather may deter some people but when you get past the temperature and really examine the possibilities, you may realize there is nothing better. Let’s look at some of the reasons for having a Winter Wedding in Lake Geneva. We can consider that fact more of your friends and family will be available than if you had a May or June wedding. Most people are on vacation when it is warmer out. The rates are less expensive in the winter for most facilities. People love to dress up for special occasions and winter clothing styles are always gorgeous. If there is snow, you have an additional layer of decoration ideas. Since your guests will most likely be home and not on vacation, you will have more of the people you invite, come to the wedding. With fewer would be brides taking the time of suppliers, you will get more attention. Outdoor photography is always spectacular during the winter, especially if there is snow on the ground. With unpredictable weather all year, you can justify an indoor wedding with no complaints from guests. You can plan a honeymoon in a warm or tropical climate. Yours will be a wedding your guests will not likely forget. Last, but certainly not least, the cuddle factor. In colder weather cuddling is so much more enjoyable and welcome. 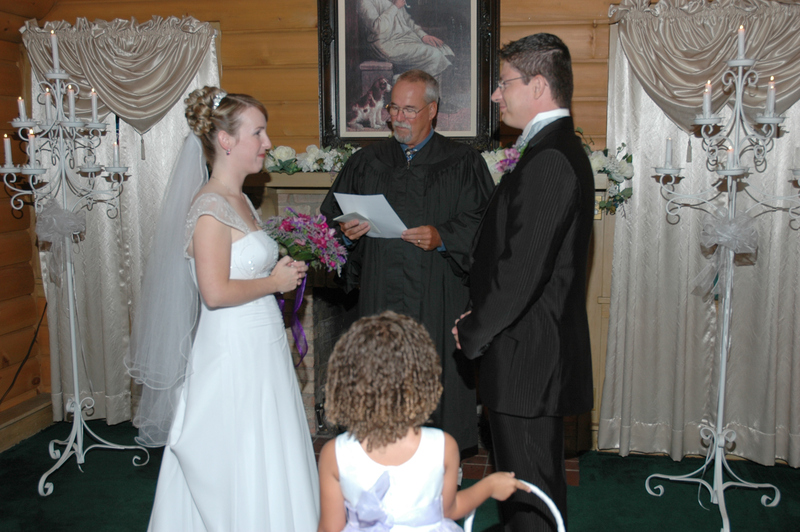 Lake Geneva, WI offers a variety of venues for Winter Weddings. A surefire way to knock your soon to be bride’s socks off is to first invite her up to Lazy Cloud Inn and propose. Lazy Cloud Inn has a special romantic package for proposals. It comes with several extras sure to make her say yes including roses, champagne, and in room massages. You’ll be hard pressed to find much better place than the Lazy Cloud for a proposal package. The Hawk’s View Golf Club offers a very nice winter wedding packages with elegant indoor facilities. Your guests will not be disappointed should you choose this venue. The grounds offer a picturesque setting worthy of the best photographs sessions. If you want something on right on the water, The Riviera may be a good choice. With a ballroom capable of seating up to 400, your wedding and reception surely will be well accommodated at The Riviera. A stroll along the beach after the wedding will be a pleasant surprise for everyone. The Grand Geneva Resort and Spa boasts eight different wedding venues, both indoors and out with stunning views, for your Winter Wedding consideration. This excellent location even has its own indoor ice skating rink so when the reception is complete your guests can unwind with a few laughs as they make their way around the ice. On second thought, maybe they should ice skate before the reception. The resort is also pet friendly, a real plus. One final touch to this superb location is the 1,400 square foot Grand Suite, what bride and groom wouldn’t want to spend their honeymoon in such a classy facility? If your wedding will be host to fewer than 120 guests, The Geneva Inn can make a great, scenic location for a Winter Wedding. With views of the lake and the surrounding hills and trees, the photo opportunities are endless. Your guests will love this scenic extravaganza and most will want to come back on their own. Without a doubt, the wedding packages at the Lazy Cloud Bed and Breakfast are to beat all others. These winter wedding choices both offer small town charm in a bundle meant for royalty but at a price affordable to most. They offer a number of options and possibilities. If you are just being spontaneous and making it private with just the two of you, Lazy Cloud has the perfect winter wedding package. The Simply Elegant package at Lazy Cloud includes a small ceremony by a fire with a smaller number of guests making for an ideal way to remember every detail, every conversation, and all the nuances that lead to a happy life with your new bride or groom. If you want a very special wedding for a smaller wedding party, you will find no place more special and inviting that the Lazy Cloud B&B. This place offers a very unique wedding experience -- whether it’s a winter wedding or any time of year. You might also want to make your honeymoon plans here to create a most memorable overall experience. If a Winter Wedding is in your future, there may be no better place than Lake Geneva, WI. You will be presented with a plethora of choices. As long as you plan for weather possibilities your choice will work out perfectly. Your guests can stay too and enjoy all Lake Geneva has to offer before or after the ceremony. Depending on the specific dates, you might even be able to reserve a lake cruise for your guests. Again, why would a Winter Wedding be ideal? You have no excuse not to plan your wedding at beautiful Lake Geneva this winter. The rest of the world will be closed for winter, so take advantage of the slower season. The vendors, caterers, lodging facility, and all the other peripheral suppliers will be thrilled to show you how wonderfully they can make your event. Remember, that small wedding party will absolutely fall in love with a bed and breakfast in Lake Geneva. So get started planning your wedding today. Don’t wait, make those reservations now and get the ball rolling. You will be so happy with your choice to hold your Winter Wedding in Lake Geneva.